Hey everybody, Danny here again for my weekly article on formations, and this one brings some love to the often maligned Blood Angels. Airborne Assault: From the second turn onward, you choose when this formation arrives via Deepstrike, all units in the formation arrive together, and you can reroll the Deepstrike scatter. Fury of Sanguinius: Units may charge on the turn they arrive via Deepstrike, but it counts as a Disordered Charge. So here we have up to 5 squads that get to choose when they arrive, giving some great tactical flexibility, and with some immediate charge moves to really threaten an opponent’s backfield. With a choice between Dante or the Sanguinor, you have some more flexibility in how you want to utilize this formation, giving you some interesting list options. 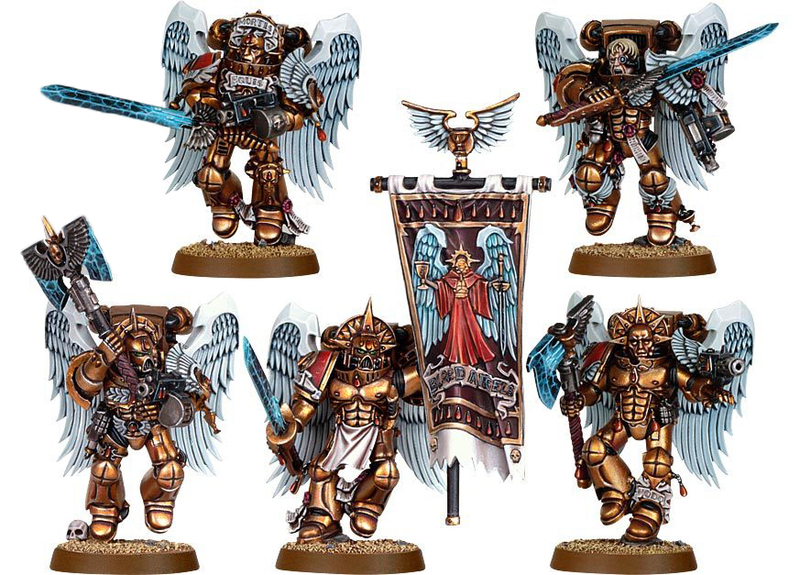 Well, Sanguinary Guard are a bit expensive, but they do bring some tech to the table. With a 2+ save that can sweeping advance enemies, this makes them survivable against anything but a unit with AP2, and with 2 attacks base and fearless, they are not slouches. They do have Furious Charge, but this is meaningless on the drop as they are Disordered. They do come standard with a 2 shot, S4 AP4 pistol, which isn’t too bad for softening up a target (or killing objective campers dead). 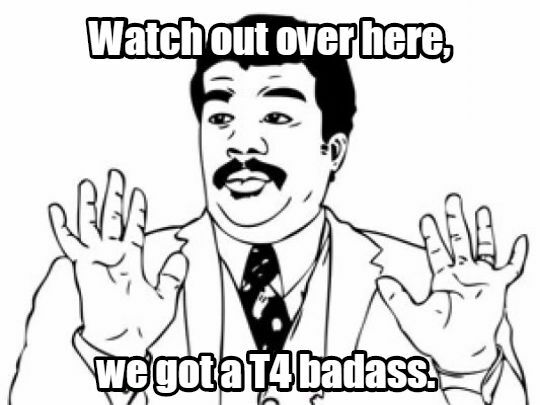 They also come standard with either a Master-Crafted AP3 sword or a +1S AP2 Master-Crafted power axe. This is not bad kit, and any one of them for 10 points can purchase a powerfist for some S8, AP2 goodness. They are 33 a model though, but they can cause Fear! (Ok, kidding). Ok, so they are pricey, but when combined with Dante (who is a decent beatstick on his own), you suddenly have all of your units scattering D6 instead of 2D6 (and rerolling scatter) for some seriously pinpoint drops. Sanguinary Guard can take Inferno Pistols or Plasma Pistols, which can give you some real anti-armor drop (since you can easily get to the rear armor), and well, immediately charging afterwards is easy with Dante. With the Sanguinor, you have a 6” aura of +1 attack for Blood Angels, which helps make up for the Disordered Charge, and he is also quite capable of putting some beat down on his own. If used with allies, he also has a 12” aura of Fearless for any Armies of the Imperium, which can actually be damn nice. So, you have options here. You can sell out and go full 5 squads of 10 and Sanguinor for 1850 on the dot, but you’d autolose on Turn 1. 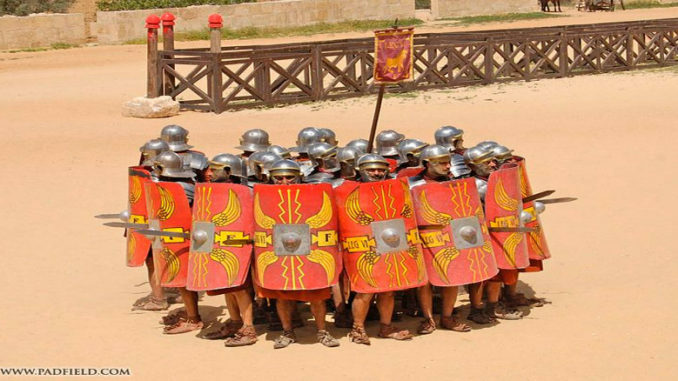 You can build this formation to be pretty beefy and make it the haymaker of your army. 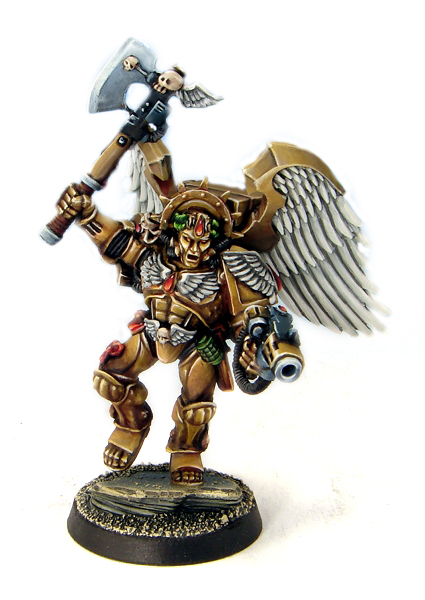 With powerfists and swords to soak wounds, the Sanguinary Guard can threaten a lot of other units, and with a 2+ save, they can weather most overwatch well despite their small number. As they aren’t too killy, you actually have a good chance of hitting a unit, winning combat but not enough to make them break and then staying safe in combat for another turn where you can likely finish them off. This is that nice balance of taking a full game turn to kill, so the unit doesn’t have to stand and die to gunfire. This build gets pricey quickly, but it is best with Dante for more precise landings. You can also go more shooting focused and load these squads up with plasma pistols to drop in the backfield and pick off armor. Between plasma shots (inferno are too close ranged to really rely on) and maybe a few power fist attacks, this formation can be built to really ruin armor. Of course, this becomes match-up dependent on these smaller and expensive units as against an army without vehicles, you are paying points that are not effectively utilized. In my view, the most effective use of this formation is as backfield sweepers. 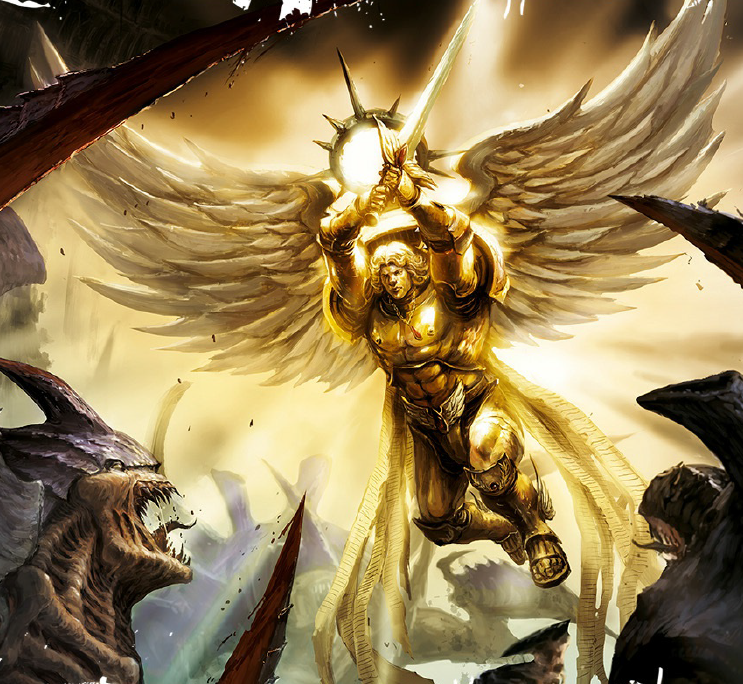 I’d run the Sanguinary Guard cheap, relying on S4, AP4 shots to clear common objective campers like Cultists, Horrors, or Scouts and then charging in with AP3 attacks at S4 and maybe one or two S5 AP2 axes for taste. I’d give no upgrades at all to the units as they are not there to charge and kill Riptides but rather basic troops that have little chance against a 2+ save unit with low AP attacks. As you get to pick what turn you show up, I’d hold these units until Turn 4 when my opponent has had to commit to the objectives, and then boom, a last minute blitz to control objectives. I’d choose Dante to ensure that my Sanguinary Guards are dropping more or less where they need to drop, and he is a damn good fighter in case I need to send one squad against something heavier or send him solo monster-hunting. For the most naked version of this, for 550 points, you essentially get to guarantee that you threaten 2 objectives of your opponent’s on turn 4. I like that, I like that a lot. This formation is best utilized as a piece of a larger plan. When coupled with a solid base like AM artillery with void shield generator, a Demi-Company, or even a small Thunderwolf star, you have most of your force on the table and causing problems, and then the Golden Host swings in to steal victory. So, why do I not see this more? Well, this formation has two big flaws. The first and most obvious is the cost. At 165 points for 5, Sanguinary Guard are pricy, pricy units that are still only 1W. One plasma cannon can just ruin this unit, and you cannot afford to soak wounds with these units. For the cost, these units are just too fragile. They also really explode in price as you upgrade their killyness, but well, you cannot really upgrade their survivability, so they just become even more expensive, which means the flaw just keeps getting bigger and bigger. Almost any competitive list is going to have answers for 2+ save, whether it be AP2 shooting, rending, or AP2 in combat. Of course, mass firepower works here too, so it doesn’t matter the Strength or AP of an attack: just make them take 6 saves and you kill 1 on average dice. You are rarely going to see large groups of Sanguinary Guard where they can afford to take a punch, so killing 1 or 2 radically lowers the effectiveness of the unit. If you do see a big ball of SG on the table, then that will likely be a good 40% of their army, and well, that isn’t an efficient use of 40% of your army in one unit that is not going to survive any serious attention. The other flaw here is the Disordered Charge, meaning the SG are not getting the full use of their points, namely Furious Charge. Travis makes a good point about why this is designed, but it does make the Sanguinary Guard even less points efficient as they are paying for a rule that they do not get to use as part of this Formation. As the unit is only going to be at most 10 strong, losing 10 attacks and +1S really robs the unit of a lot of offensive power (and maybe this works out if your favor sometimes). 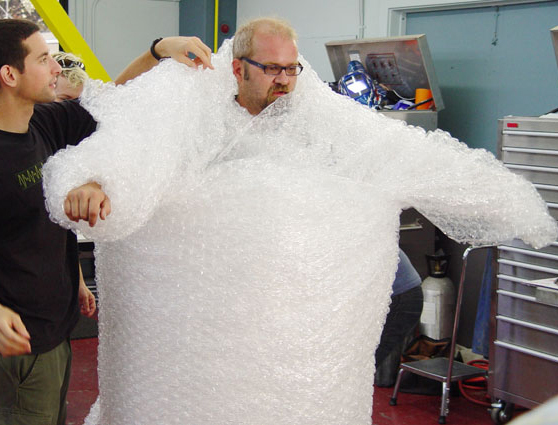 The easiest way to counter this formation is to bubble wrap high value, squishy units. If you can protect your valuable assets, let the SG charge and eat a low value target and then die. 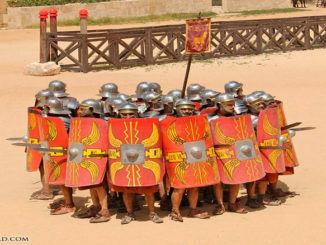 If someone invests heavily into this formation, then they don’t have a lot of other threats, so you can simply chew on what is on the table, and by the time the SG show up, the damage may be done. Because the SG don’t really hit too hard unless fully kitted, even a Riptide can cause more harm than they take. With this in mind, don’t get freaked out by charge out of deepstrike. If you plan for it, you can easily mitigate it. They can’t chain out to grab multiple units (they’ll likely die even if they manage that), and again, this formation is so spendy that one large unit isn’t actually that scary when taken as a whole of an army. Even against my preferred build, if you can double-stack objectives, the SG cannot easily take the objective from you, and well, they aren’t Objective Secured, so putting down an Obsec unit on that objective wrapped by another unit ensures that it stays yours. This formation is a fencer’s blade, but that means it is also easily broken, so factor all of that in. Of course, if you want more tactics and tips on how to do so, go on and check out the TFG Radio Patreon and help us make even more great content for you.